New York Tomato isn't exactly in the CBD.... it's in Richmond. 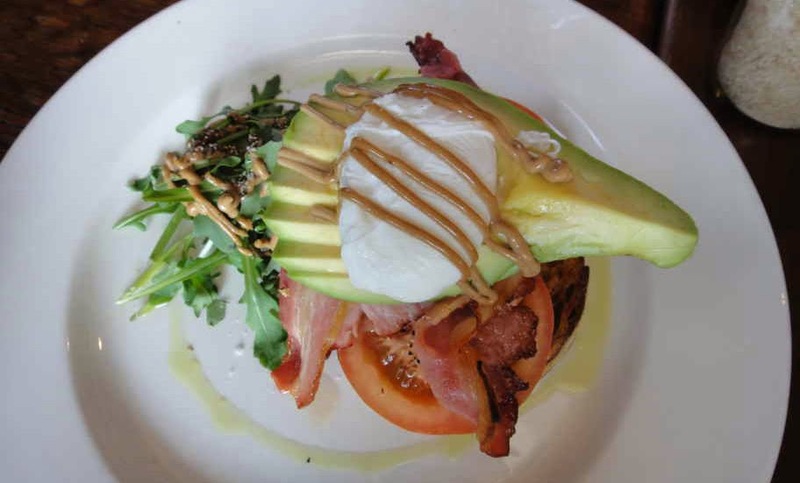 Was dying for another good breakfast and coffee again, and when my friend told us how much she LOVED this place and its awesome brunches, we decided hell yeah, we would partake! The location of the joint is interesting in itself. After navigating a network of one-way backstreets to find parking, we came to the corner where New St met York St. It was very casual out in the front courtyard with wooden gates and potted plants - we were led upstairs to a cosy, loft-like upper level. It had a very casual, relaxed atmosphere where I'd happily sip on coffee and catch up with old friends. 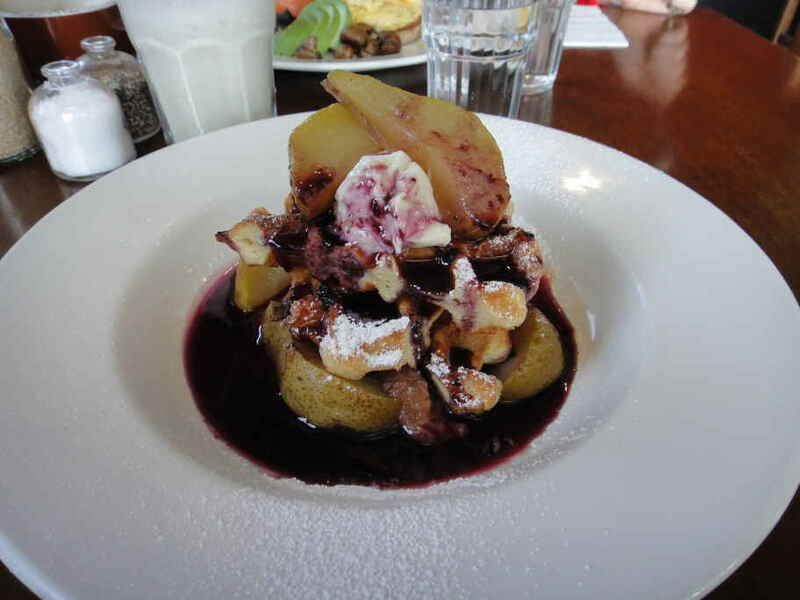 MerlinFan had the banana smoothie and Belgian waffles with poached pears and rhubarb. It came as a mountain of stacked waffles, pears and rhubarb sauce dusted with icing sugar. I didn't have much of this as I'm not a fan of rhubarb and generally prefer savoury over sweet for breakfast and generally find I can devour more if it's salty. The waffles from memory was good, crispy and sticky from the sauce, and extremely sweet! I'd come back for this if I had a craving for waffles for brekkie. I hear also from my friend that the menu does change and hopefully next time the waffles will come with bananas or strawberries! Overall, a very good breakfast. Thumbs up for New York Tomato!